Hey guys, If you are getting crashes, try and install and run SteamVR, and run it before you start the game (Even if you don't have VR). There is some weirdness going on with the Unreal Engine at the moment thinking this is a VR game that some of us Vive and Oculus users have picked up on. i did install the SteamVR, didn't fix it for me. you do not want the test. Look in tools and see if you can find SteamVR. if not, try Downloading the vive drivers. Tried that and get the same results. i don't even have that Log Folder. because the Game doesn't actually Crash, it just Freezes and i have to use Task Manager to Close it. the Worst part, there is NO, really, NO Indicator what Causes this, my Game can run Fine for like 30min. and then *bop*, Freeze without a Warning. The only thing I've been able to determine is that I was fine for a long chunk of time if I didn't have Twitch running on my second screen. I'm still in the same boat if I do though. And no Crash log because it Freezes. My game opens well, but after 20-30 minutes of gameplay, it freezes. It can be in any situation, I do not know because of the exploit or because of my computer, that meets the minimum requirements. The screen freezes, the music and sound effects continue, then only the sound effects continue. I did not find a log page, but I am sending an email to DxDiag, the error and my settings. I'm having a frame rate issue which seems to be related to the bug where you attach tethers to your base and log off and after logging back on they are detached(not showing blue connection line), when players picks up the tether that is unconnected there is a massive fps hit( down to about 1 frame a second). I tried to put them back in my bag, but game crashed to xbox one dashboard. Also massive frame rate drops when driving rover/truck pasted connected tethers. I love this game but every time I try to mine any material that's not above ground, my game freezes up. This is the same for me, I have an AMD 6300 and a Sapphire nitro r9 380 with 16gb ram. It works okay sometimes, getting a max of 30fps at best. The moment i build something else beside the pod/tethers, the game drops fps into the teens, and if I mine at the same time or try and just walk around or even view my backpack while playing, it drops the fps into the 1-4 range. 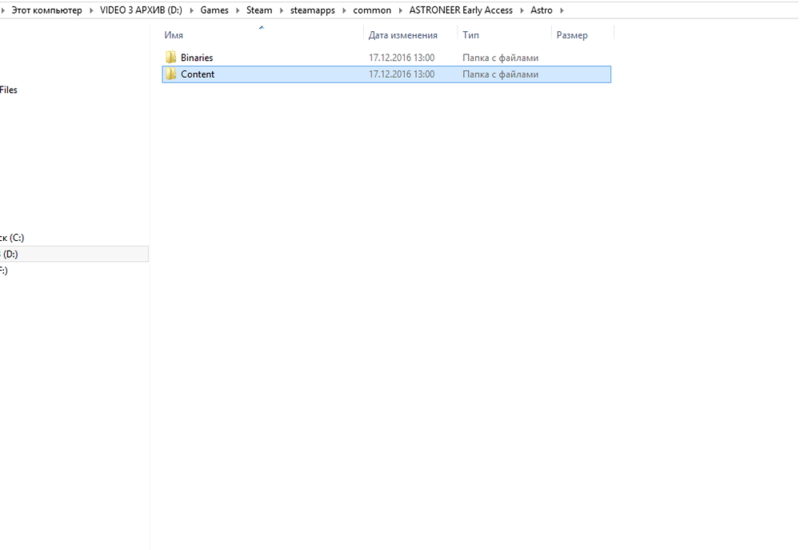 I don't have any save folders from the steam version because the game has never crashed, it just doesn't respond and i have to close the window, so it doesn't allow it to. Game crashes in multiplayer if you are not the host and the home base has to many platforms. (7-10 typically). 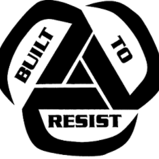 What we have tried is right away don't build anything you don't need to be able to find the research of the habitat and eventually build a base far from the original. This allowed us to join back into the world if we did crash but if you approached the new home base sight with a good amount of pads at that sight the game would once again crash. Happens each time we approach the new base that has 7-10 platforms. I'm not actually crashing. The game just freezes (though audio keeps playing) and I'm forced to windows task manager > end process it. 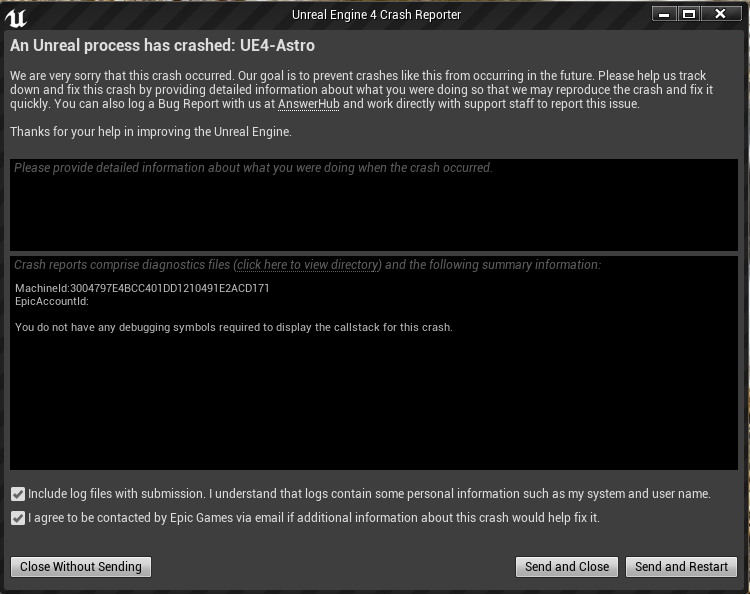 So no crash logs. But I have found the problem to be systematic. My first game was stupidly freezetastic. Especially if I used the flatten tool. Was lucky to go 5 minutes without freezing. I started another game and the freezes became much less frequent. Freezey game was on a blueish map. Non-freezy game was on a green / lush map. Freezey game also had a crashed ship closer to my base, which I mention because one of my freezes on the better map was as I approached a ship. Can`t start the game either. but if I install it it still says it but the I can only uninstall it because it has already been installed... pls help if you can otherwise I need to exchange it. I am having the same issue before and after the hotfix. This issue occurs for both Windowed and Fullscreen mode. The game starts up, the system era splash happens, a loading screen comes up with spinning planets, which stops for a second then music plays and the Alpha Welcome Message comes up with a spinning icon at the bottom. A mouse with left click appears at the bottom over the spinning icon and at this point the game is unresponsive, however, the circle mouse cursor still can move. It is shown as not responding in task manager and has to be killed using task manager. So I first started the game and everything worked. I had very low FPS, but it was playable. Then I saved the game and restarted Steam. First I launched the game and got to the menu, where you can choose you savefile. I chose mine and then the early access window appeard. But from this point I couldn't do anything. I waited 10 minutes but nothing happend and I had to close the game with the task manager. I have the game on steam and play on pc. I have the latest update installed, but it still doesn't work. I included a screenshot, showing the point from wich I can't do anything but close the game. The new update helped the resolve the freezing problem. Before i was happy to play 5 minutes before it freezes, and now i played 20 minutes and i stopped by myself because i'm out of time today. Hello. the thing is ...if i do not write a startup parameter "-nosound"